FFA opens membership to females, making it possible for them to hold office and participate in competitive events at regional and national levels. Ken Dunagan from Arizona is named the first American Star in Agribusiness. The Washington Conference (now Washington Leadership Conference — WLC) begins. 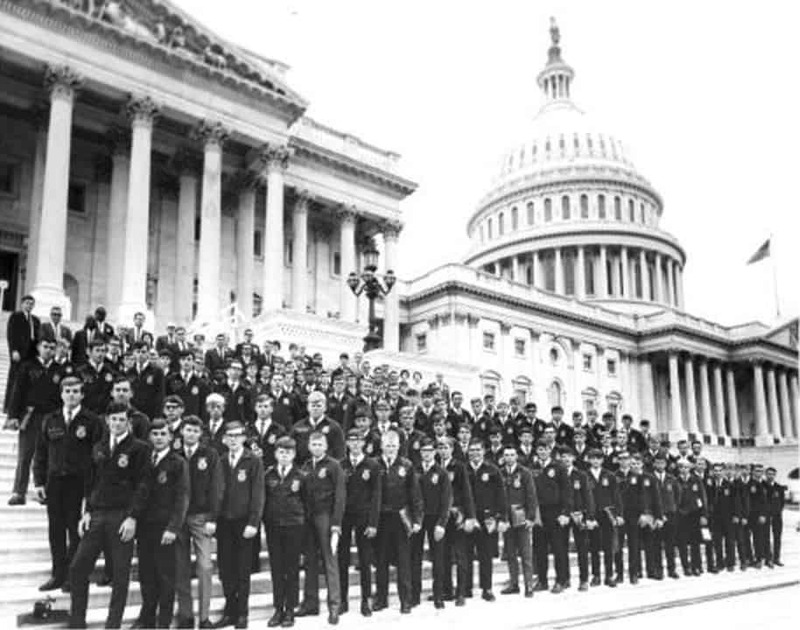 The delegate body of the National FFA Convention establishes alumni class of membership as part of the constitution.